The much-anticipated feature film, ‘A Place in the Stars’ premieres on Friday, 7th November, 2014.? Produced by Native Filmworks Limited, one of Nigeria’s pioneer film & TV production companies, ‘A Place in the Stars’ premieres at the Landmark Centre, Victoria Island, Lagos. The pace-setting movie premiere is set to replicate the blockbuster movie in style and tone. 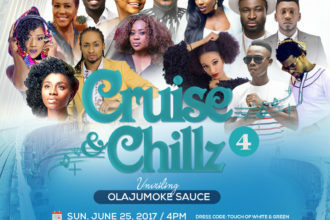 The event will feature live music performance by music maestro and multi-instrumentalist, Jeremiah Gyang, and the crème de le crème of the entertainment, corporate, media and movie industries. Directed by the internationally renowned film maker, Steve Gukas, ‘A Place in the Stars’ is a riveting story of illicit drug trafficking, violence, turf wars and conscientious dilemmas. A Place in the Stars is an account of one man’s choice between conscience and the pull to get rich or die trying. Set in 2006 Nigeria, A Place in the Stars tells the story of Kim Dakim (Gideon Okeke), a young lawyer with a case and a client that leaves him professionally conflicted. Kim is in possession of information that could save lives, if he would only pass it on. Faced with the deathly consequences of crossing ‘industry’ kingpins, including the toughest of them all, Diokpa Okonwo (Segun Arinze); and with millions to earn if he would only turn a blind eye, Kim battles conscience and professional responsibility as he determines which way to turn. The movie features some of the best actors in Nigeria and internationally, including award winning actor, Segun Arinze, Gideon Eche-Okeke, Dejumo Lewis, Yemi Blaq, Femi Branch, Matilda Obaseki, Julian Mcdowell, Armajit Deu and Amaka Mgbor. A Place in the Stars will be available in cinemas nationwide from 14th November, 2014.